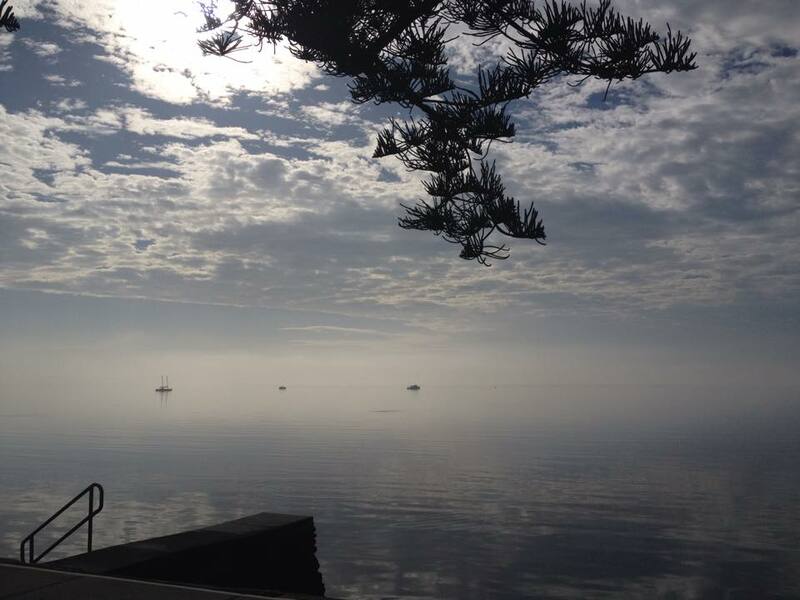 #WorkWynnum – open for business! So it’s happening! I am currently in the midst of moving (some) furniture down two flights of stairs, and it’s starting to look and feel real! The fridge arrives on Monday, the new boardroom has tables and chairs ready for our first event, and I’m organising the new internet connection. is the new name we are using, to quite simply let people know what we do here. Central Business Associates do also have memberships, collaboration, mentoring and many many other services and benefits within the two spaces, but the main focus of what we offer here is a place to work. A place to focus on whatever you need to get done, and we will help you be surrounded by others doing the same, to shake off your procrastination! Procrastinating was exactly where I was myself, back in 2014. Working from home, trying to get stuff done, and feeling like I was failing at being a consultant and a small business owner, because I just couldn’t focus and churn the work out. If you are an existing Member (either Associate or Professional), you can come and try out the coworking space for only $15 per day. Professional Members normally get an offer for a free coworking day once a month (worth more than the annual membership fee! ), and then those who want to work #flexibly or ‘whenever suits them’, can have a full-time, 24/7 coworking pass for only $200 per month*! That’s less than $7 per DAY – whaaaaaaaat? Our aim at Central Business Associates, is to provide a way for people in our local community to work flexibly. What’s the point of having this incredible place in the world to live, if we spend hours of our week sitting in traffic, staring at buildings, or at a windowless wall? Why do that to ourselves when we could be looking out at the ocean in our beautiful Bayside, enjoying a lunchtime stroll to the waters edge, or later in the day, watching the sun set over the sea? If you are tired of missing out on the lifestyle you deserve, maybe it’s time to find out if #WorkWynnum is the place for you! Come and have a look round, see if one of the seats or offices is the right fit for you. *Full-time coworking pass requires a 12 month commitment, and passes/desks are limited. Shorter commitments can be agreed – please contact us to discuss. Non-members can enjoy coworking for only $20 per day. 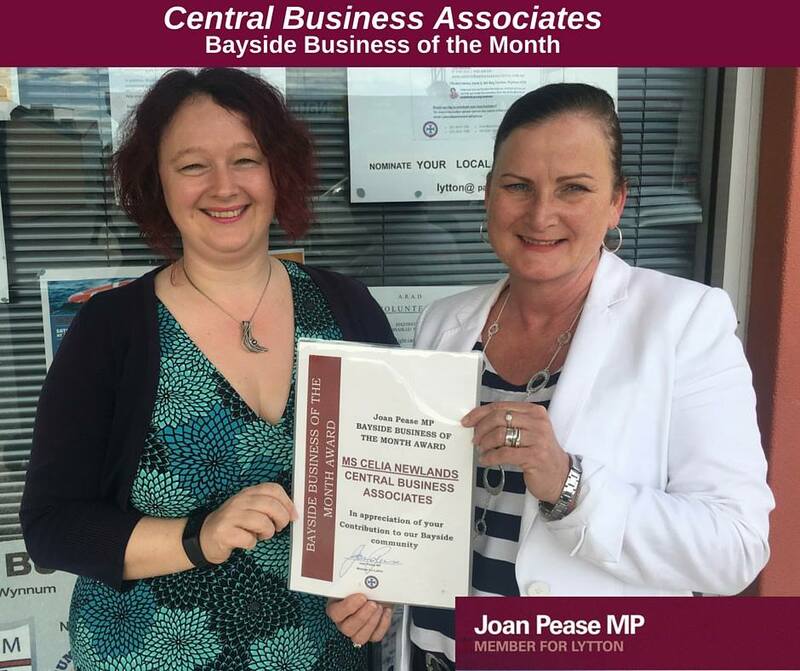 https://centralbusinessassociates.com.au/wp-content/uploads/2019/02/CBA-Logo-with-Values-01-300x196-1.png 0 0 Celia Newlands https://centralbusinessassociates.com.au/wp-content/uploads/2019/02/CBA-Logo-with-Values-01-300x196-1.png Celia Newlands2018-08-31 13:11:142019-03-28 11:26:18#WorkWynnum - open for business! 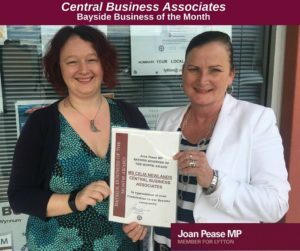 I was so delighted to receive the inaugural Bayside Business of the Month award last month from our local Member, Joan Pease! Recognition for contributing to my community is really the icing on the cake – I love what I do – I thoroughly enjoy helping people to collaborate and grow their businesses, and I am so grateful to have found a strong, friendly, growing community to work within.